One of the many farmers markets scattered across the island. 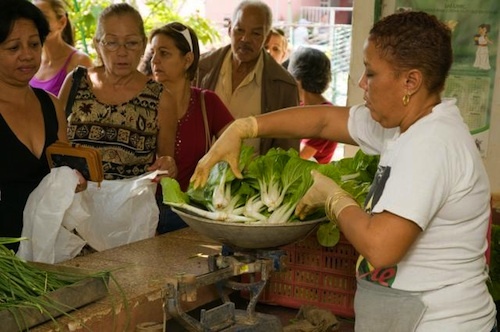 The produce sold here supplements the basic ration to which all Cubans are entitled, as one of their economic, civil and human rights. problems can be attributed to global capitalist pressures. Eco Cuba Network, Green Cities Fund, and the Task Force on the Americas invite you to participate in an educational Cuba tour for environmental justice activists and supporters. We will travel to Cuba during the week of Earth Day (April 22) 2015, to study Cuba's unique social and environmental policies and practice. A trip extension is being arranged for those who want to stay in Cuba longer in order to participate in May Day activities. 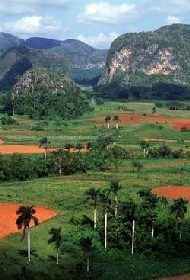 In 2006 the World Wildlife Fund, using a combination of the United Nations Human Development Index and the Carbon Footprint, determined that Cuba is the only nation on earth living sustainably. How did Cuba, a small Caribbean nation struggling with issues of economic hardship, severe annual tropical storms and the US blockade, achieve this distinction? Are there ways that US and Cuban environmental justice workers can work together for our mutual benefit and for the well being of all our earthly relations? Travel with us to Cuba and find out! 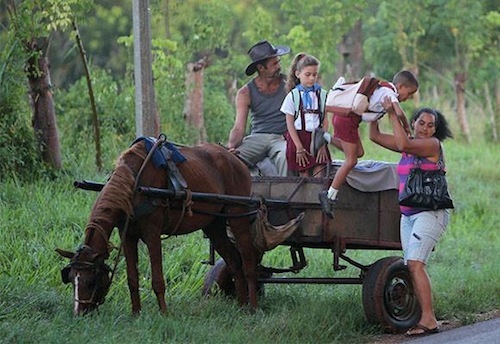 Cuba's environmental justice revolution includes concern for the natural environment and access to free and universal public health and education for its citizens. Many experts believe that the foundation for Cuba's extraordinary achievements is its educational system which provides Cuba with an effective 100% literacy rate. Here a family in the most remote regions of the Sierra Maestra drops its children off at school. Cuba has an effective 100% literacy rate. Cuba boasts the highest health indices in the developing world, on a par with the Scandinavian countries and higher than the United States. Cuban citizens enjoy the right to a healthy environment: clean and safe air, water, soil and food, as well as economic rights to free and universal health care, education, shelter and work. Cuba has made tremendous progress in advancing the rights of women, people of color, the LGBT community and those with disabilities. Cuba's "energy justice" policy involves the installation of renewable energy generators in remote regions of the country that are off the grid and of energy efficient appliances in more urban areas. 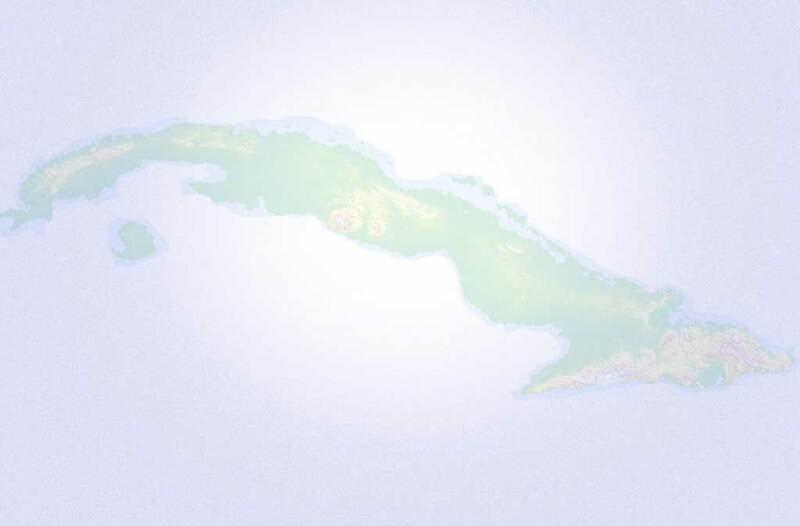 As a result, in 2006-07, Cuba reduced its carbon footprint by 5 million tons. 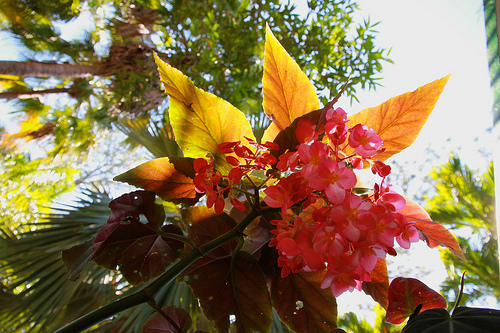 As a response to the 1992 Rio Summit, Cuba established a Ministry of Science, Technology and the Environment to oversee environmental policy and practice on the island. Since the dissolution of the former Soviet bloc, Cuba's struggle to survive in the international capitalistic system, has led to a level of income inequality that had not been experienced in Cuba since the dawn of their 1959 Revolution. Agricultural and industrial policies and practice of former years have left some waterways (lakes, rivers and bays) severely polluted. The financing of these clean up efforts (of heavy metals and other industrial/agricultural pollutants) will require international financial partnerships. Global warming has increased the severity of the annual tropical storms that batter Cuba and challenged Cuba's excellent system of disaster prevention, control and recovery. 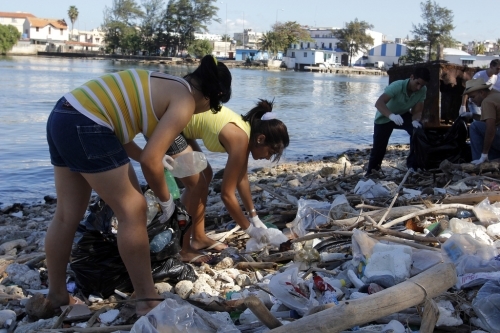 Cubans respond to the problem of coastal litter. The Gulf of Mexico and the Caribbean are threatened by decades of environmental abuse and injustice. 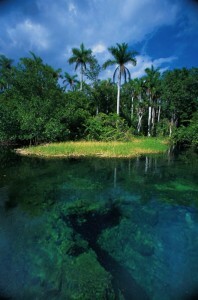 While Cuba's "people power" alone can handle certain environmental projects like coastal litter clean up, Cubans will need international assistance to remove the pollutants that have built up in many waterways due to decades of underregulated agricultural/industrial processes and tourism, generated both at home and from abroad. Eco Cuba Network, a project of Green Cities Fund, is an association of environmentalists devoted to interchange between US citizens and Cubans involved in environmental protection and sustainable development. Green Cities Fund is an international human and environmental rights organization with a license to arrange educational "people to people" Cuba tours. Our licensed Cuba Travel Service Provider is Marazul Charters, an organization with 40 years experience arranging Cuba travel for US citizens. "Cuba's experience challenges people in the wealthy nations – including many progressives – to 'think again' about environmental justice and what it requires. How can a nation provide food, energy, housing, and other basics, to all of its people, while protecting the natural environment? How can communities care for children and the elderly, people with disabilities, and other vulnerable groups, during an era of climate change and environmental destruction? In Cuba, the environmental justice revolution is now in progress. Our delegation will be visiting Cuba to learn about this revolution. We will learn about energy programs, community health programs, organic gardens, and other projects for environmental justice. We'll also learn about some of the international problems that threaten all the nations of the Gulf of Mexico and the Caribbean Sea and find out if Cubans and their neighbors in the United States can help each other toward environmental and economic sanity." 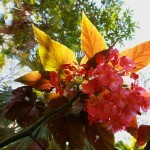 Articles, videos and blogs on Cuba's environmental policy and practice. Articles, books, videos and blogs on the Environmental Justice movement in the US and internationally. Please contact coordinator Pam Montanaro by email or call 510-318-4910 to be sent the registration packet for this Cuba program.